In 2011 we are seeing the substantial cap rate compression from previous years in the past for core net leased assets. As 2010 ended the market saw multiple investors competing for core assets. 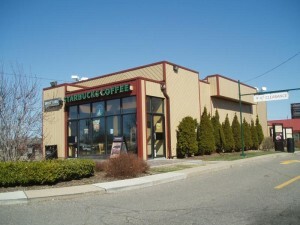 The national asking cap rates in 2011 for the single tenant retail sector are currently 8.00%. The national asking cap rates the office sector are 8.10%. Transaction level in 2011 is anticipated to decrease from 2010 levels which was very high and driven by low interest rates, greater financing availability and a very large supply of properties available for disposition as a result of limited investment sales in the previous year. One of the main factors that may slow transaction volume is anticipated interest rate increases as well as a continued lack of new development. If cap rates increase and prices decrease we may see owners of assets more reluctant to sell as opposed to when cap rates where compressing in previous years. The national single tenant net lease market fundementals do remain stable and many investors still demand the passive turnkey investment model of single tenant triple net lease real estate investments. As always consider factors like location & lease term that will effect cap rates for single tenant triple net lease investments.